The Hanuman Mandir is an ancient temple of Lord Hanuman in the Mahabharata periodSituated in the heart of the city in Connaught Place the tall Hanuman statue exudes peace and calm. Hanuman ji present here is self-present. This temple with Balachandra Ankit Shikhar is a great center of faith. The historic name of Delhi is Indraprastha city which was rehabilitated by the Pandavas on the bank of Yamuna river during Mahabharata period. Then Pandav used to rule Indraprastha and Kaurava on Hastinapur. Both of these were from Kuru dynasty. According to Hindu belief the second Bhima in Pandavas is considered as the brother of Hanuman ji. Both are called airborne sons. 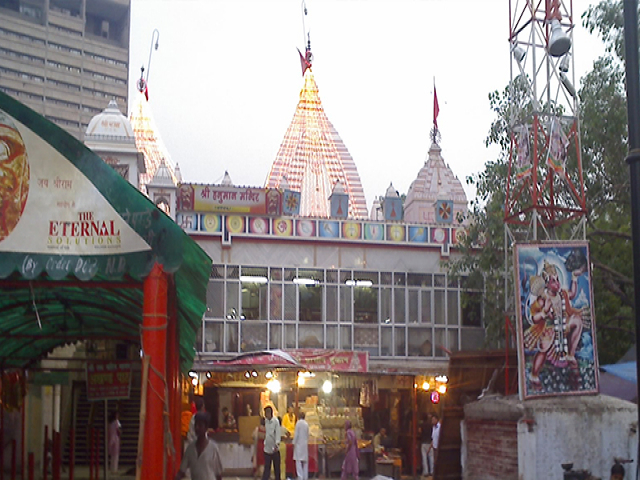 During the establishment of Indraprastha Pandavas established five Hanuman temples in this city. It has a beautiful architecture. The temple holds the Guinness World record for chanting ‘Sri Ram Jai Ram’ continuously.